YUR BACK I KNEW IT! SEYYYYY! goodbye Celestia,thank you for everything,also please come back one day! Rip. ;-; We don't want you to go. Her name, and you're gonna have to pay. I hear she takes organs. congrats on 10k rep, gib sum to meh plz? No no silly, give me your sidepic. hey, i won a metal in your raffle, why dont you add me? 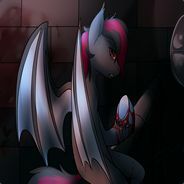 This profile pic belongs to a nuaghty picture, if I remember correctly. how you have 2 key did you buy it? Sorry to see you like this. Would you mind telling me what's wrong? You can add me if you like. I've been through tough times myself. You're very kind to me, princess! Just wanted to drop by and say your avatars are effing adorable. sera k ganho a minha primeira rufle? it tasted great. thanks celestia, you have my eternal honor. Dis avatar, I think I have cuteness overload <3. What a nice person...I LOVE YOU SO MUCH. I luv you too Celestia <3.